Numerous studies have found cannabinoids and particularly CBD to have anti-tumor effects and anti-inflammatory properties. Additionally, CBD has been shown to regulate and stimulate appetite, modulate pain and improve the overall vitality and health of animals. There is a lot of hype about Cannabis oils (CBD) going on and let's talk about them. This is my opinion but I am still doing my research. It is a good addition to the dog's diet. All 50 states (USA) allow the purchase of CBD oils that do not contain THC or less than.03 percent at this time. While this may or may not fight certain cancers, it can help relieve pain, reduce stress and help reduce tumors in certain cases. It can help many ailments and I will always recommend this as an "addition to" using other supplements. I wouldn't use it alone for treatment unless you have a medical card allowed by states where it is legal. Seek a holistic vet for higher dosing or for CBD that contains amounts higher than the legal limit. Each state is different. The medicinal CBD oils that contain over .03 percent are illegal in most states although this is changing every day. CBD oils do not cause a toxic effect. It is used for medicinal purposes only. Make sure your CBD is from the leaves, buds, and flowers. Not from seeds. And also it is processed through what is called solvent extraction. CBD oil is all over the internet and lots of people are talking about it. I think it's a wonderful product if you get a good quality brand without chemicals and toxins in it. I have also heard some of the pet products are not what they advertise to be. So be careful and do a lot of research. Just because one person says one brand is good, doesn't make it so. Really do a lot of research please. And I also found a lot of the pet products are way over priced. I am not saying these products aren't good. I am just saying find one that you feel is a good clean product. And there are so many on the market, its going to take work to find a good one. Now when it comes to arthritis, yes CBD oil works well. Some dogs do better on it than others. Some take much longer for it to start working than others. 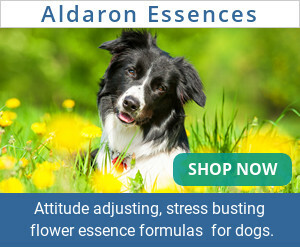 Some dogs need a higher dose. Some dogs it doesn't do much for. Every single dog will be different. No two will be alike. It is all trial and error. 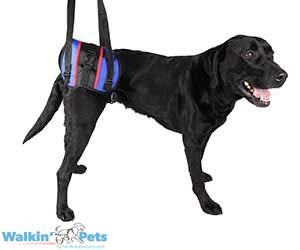 What I do want to say is, do not let this be your only supplement to give to a dog that is having a hard time with his/her joints. CBD oil does not help lube the joints. It does not supply the tissues with necessary nutrients. So do not solely rely on CBD oil alone. 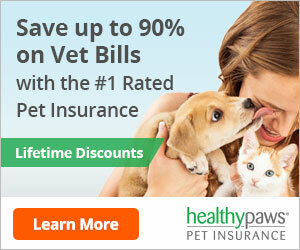 It would be unfair to your dog. Always add in glucosamine to the daily regimen. I also recommend anti inflammatory herbs and certain supplements for certain types of issues. But CDB oil is a great additive for your dog no matter what illness comes upon you and it can help your dog in many ways. 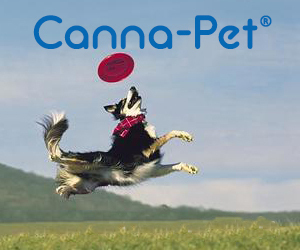 For dosing, if you purchase a CBD oil for pets, follow recommended label dose. For human type supplements depending on size of your dog, start with a few drops twice a day. Do that for 3-5 days and see if you notice a difference. If not increase the amount. For a Chihuahua, you may want to try 1-2 drops daily. For a large dog, you may start with 5 drops to start twice daily. You can always increase the amount as you go. If your dogs acts sleepier or not quite acting normal, just reduce amount. CBD oil doesn't come with a specific amount that works for all dogs. So experiment. Start low and work your way up. And remember, do not solely depend on CBD oil to help your dogs joints. It's not fair to them to not help lubricate the joints. I am seeing this a lot and it really bothers me. CBD is not a cure all. It is a supplement that can help in many illnesses but it isn't a total solution. You must combine many things together to help your dog. I myself give my dogs CBD oil. One can't stand anything being put into her mouth. Ha! Another one would lick the entire bottle dry if I let her. When she sees the dropper coming, she is licking the air already. I give her 6-7 drops. She is medium in size. Another dog doesn't care for it but doesn't fight me. I pull back her upper lip, tilt her head back and drizzle it onto her upper gums. She also has severe joint issues along with severe fear issues. So she gets a full dropper. On storm days, she gets extra from that. She's 70 lbs. CBD oils come in milligrams or ounces. You have milligrams per amount and milligrams as in how much is in a bottle. So pay close attention to that in your search. Read the label. How many mg per drop or dose? How many drops per dose? How much is in a bottle? 1 ounce, 2 ounce, 3 ounce. Ounces can also be milligrams labeled on the bottle. Yep extremely confusing and you need to be good at math to figure it out. Good luck! For CBD oils that contain higher amounts of THC (over .03%), please find a holistic vet to help with dosing and safety precautions. Anything over this amount is illegal and should be used legally with your dog.